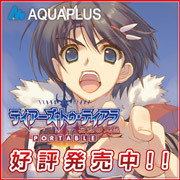 戦場のヴァルキュリア2 | HOME | ｷﾀ━(ﾟ∀ﾟ)━!! copyright © 南天騎士団 all rights reserved. powered by FC2Blog.